﻿tribe. | Our Sweet K.
Since Kenley’s death I have truly realized who my true friends are. Totally clichè, right? Nope. It’s true. When she died, I received my first card from Megan Ricahrdson. I love this girl, to this day, and I haven’t talked to her in probably 10-11 years, yet somehow she was the first one to send us a card. We received flowers from my graduating class (thanks guys), and cards from people I grew up knowing, worked woth through the years, and some I just recently met. All these people were hurting along side us. The outpouring of love was amazing. My best friend from high school’s mom sent us a sleeping angel garden statue just very recently and it’s so comforting to know people are still thinking of us…of my sweet girl. It doesn’t hurt us to talk about her, or receive cards, or letters about her. We love these things. They make us feel closer to Kenley. 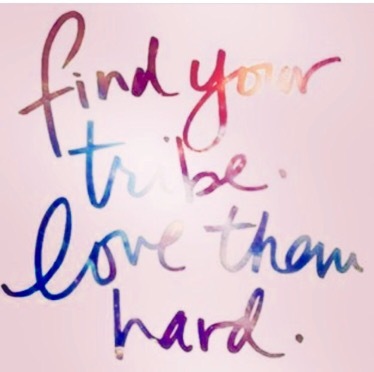 The greatest amount of love has come from my tribe. The women who have been there through it all with us. The women who, no matter what, get it. They understand if I can’t talk to them because I’m guarding my heart, or if I want to just talk about Kenley for hours on end. They will listen and reply to me until I am talked out. These women tell me to protect myself and remind me that I am a good person. They sent us the most amazing package after Kenley’s death. The amount of love and kindness that went into this gift was far beyond anything I could ever imagine. They have held me up, held my hand though tons of things, and continue to walk beside me through these terrible days. They don’t need to reach out to me every single day, yet they do. They don’t need to send me random “thinking of you” gifts, yet I’m always getting lovely things in the mail. Someone always lets me know they’re thinking of my sweet daughter. They could have all left my side after things got hard, but they haven’t. They tell me they miss Kenley, too. They tell me how much she is thought of, how much they love her. They treat my heart carefully and come to me with such care about certain things in their lives that they think will trigger me. And I’m so thankful for each and every one of them. If you are part of/have been a part of TCF, or the old place, I want to thank you from the bottom of my heart. Your love and support has meant more to me than I could ever explain in a million lifetimes. I am so thankful to be part of a community of women who are the best on this planet. I truly believe I will have you as friends for the rest of my life. You are my Tribe, and I love you.